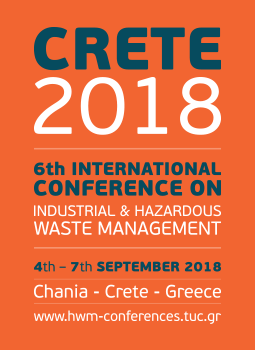 He is a full Professor at the School of Environmental Engineering and Director of the Laboratory of Toxic and Hazardous Waste Management at the Technical University of Crete since 2002. During the period 1980-1985, he was Scientific Associate and Program Manager in the Research Centre GKSS-Forschungszentrum Geesthacht in Germany, while from 1985 untill 2001 he was Director and Vice-President of the Battelle Institute of Germany. The scientific fields of his concern include hazardous waste management, sustainable municipal solid waste management and soil and groundwater remediation, using innovative technologies. He has collaborated with many research centers and institutes (e.g. Max-Planck, Fraueunhofer, MIT, Battelle Memorial Institute, BNNL, etc.) and has been a visitor professor in many Universities, such as the Technical University of Hamburg, Dresden and Cottbus in Germany. He possesses 5 patents, haw published more than 70 papers in scientific journals and has presented more than 190 papers in different international scientific conferences. In 2015, he became an elected member of the International Waste Working Group (IWWG) Managing Board. He is full Professor of Solid Waste Management at the University of Padova. He was Dean of the Faculty of Environmental and Land Planning Engineering at the same University from 2000 to 2013. He is currently the Editor in chief of Waste Management, International Scientific Journal on waste management edited by Elsevier, Amsterdam. Past President and currently a member of the Managing Board of IWWG (International Waste Working Group), the main international scientific association in the field of waste management. He has delivered presentations in over 50 seminars and 100 congresses on waste management and controlled landfills worldwide. He is author of over 150 scientific papers and five international books on waste management, printed by leading publishing houses (Academic Press, Elsevier, EF and Spon). 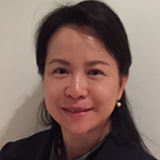 She is an associate Professor at the School of Environment of Tsinghua University (Beijing) and has developed successful research, as well as teaching career in solid waste management in the past 16 years. Her research interests relate to microbial process and carbon – nitrogen cycle in solid waste management systems, including composting, anaerobic digestion and land filling of organic waste, bioenergy production from biomass waste, CH4 carbon turn-over in landfill cover soil and LCA on solid waste management. During her career, she has authored or co-authored 115 journal papers (60 peer reviewed journal papers published in the past 5 years), conference papers and technical report publications. Moreover, she has conducted more than 25 projects. Dr Lu’s work also has contributions to government’s policy and regulations, such as the establishment of index system for the priority trace components in landfills and improvements in the sampling procedures for trace components in waste sectors in China. She has built contacts/collaborations with top scientists in the field of solid waste management, such as scientists from US, Japan, Germany, Canada, Italy, Denmark, Sweden, Brazil, etc.. He was Professor from 1982 to 1990 at the Institute of Environmental Protection and from 1991 to 2008 Head of the Institute of Waste Management at the Technical University of Hamburg, Germany. He retired in March 2008. He is one of the prominent researchers in the field of waste management and provided in particular fundamental scientific contributions on sustainable landfilling, anaerobic digestion, biogas generation and control, treatment of contaminated soil. He co-ordinated several international and national research projects, and was member of the environmental advisory board of Shanks, England. From 2009 until 2011 he was director of the R3C Research Center at the Nanyang University of Technology, Singapore, for which he is now scientific advisor. He is co-organiser of several national and international conferences and has published more than 300 scientific papers and several books. Since 2008 he has been the chairman of IWWG (International Waste Working Group).